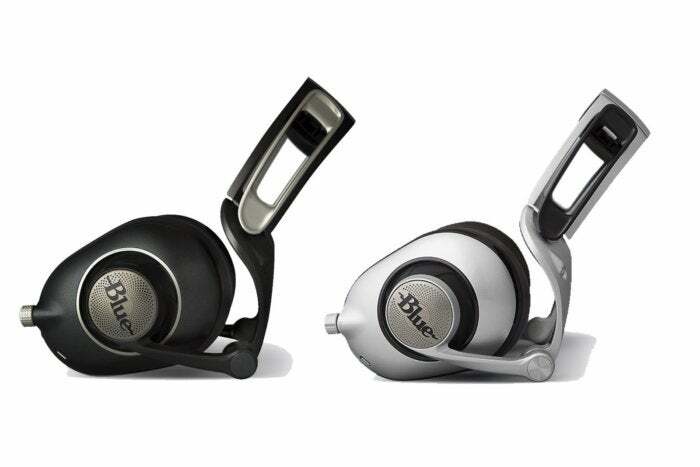 Blue has redesigned the strut-like headphone band introduced with its acclaimed Mo-Fi headphones, and upgraded the amplifier to a Class AB design for even better audio quality. Ella and Sadie each has a slightly different amplifier from the other, but both are Class AB designs, a step up from the more typical Class D amp. Blue tells me they chose Class AB amps to ensure consistent performance across a wide range of source devices. Blue's engineers redesigned the headband to keep the same comfortable fit while shrinking each headphone's overall weight. They reduced the link points from six points to four while maintaining the same fit, or so they tell us; we haven't reviewed either of the new models, yet. The generously proportioned cups on both models are shaped like ears. 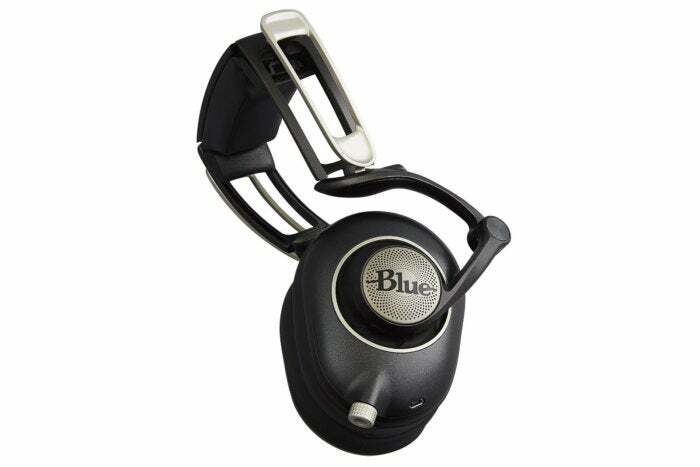 Blue says this design achieves a superior seal for accurate bass response, improved isolation, and reduced sound bleed. The amplifier features three all-analog modes—including Off, On, and On+. “Off” allows you to use an external headphone amp. “On” plays without any DSP or adjustments to the sound. “On+” adds a slight bump at 63Hz, which the company says is just right for restoring the low-end character of music mastered in the era of vinyl. 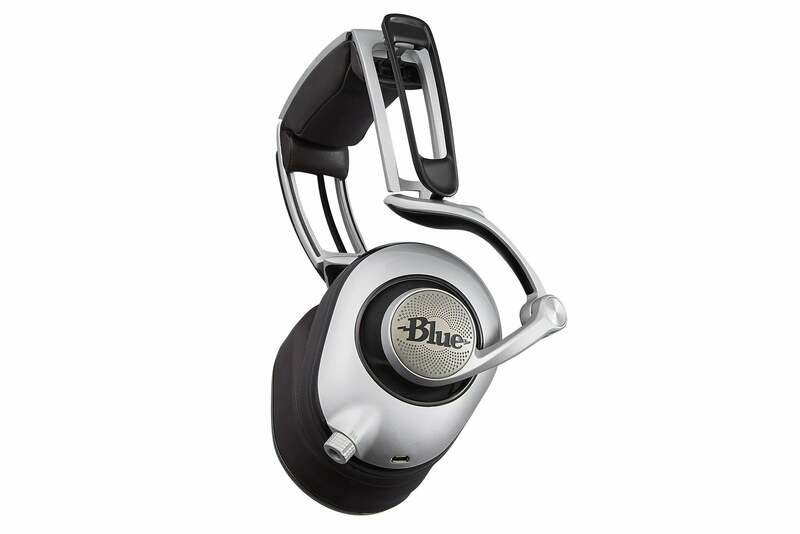 The end result, says Blue, is a customizable headphone with superior comfort and high performance. Unlike traditional headphones and speakers that use dynamic drivers to create sound, planar magnetic headphones use an extremely thin and light diaphragm to reproduce sound. A magnetic system drives the entire surface of the diaphragm evenly in a pull-push manner. The company says that Ella combines Blue’s planar magnetic technology with an on-board amp and large, high-capacity cabinets to deliver a perfect blend of accuracy and impact. Ella’s 50mm x 50mm drivers are self tensioned for fast response and accuracy, while still delivering warmth and punch. Blue points out that the Ella’s massive driver enclosures are fashioned after high-end speaker cabinets and deliver a rich, extended soundstage. Blue also claims that the Ella is the first planar magnetic headphone to offer a built-in 250mW audiophile-grade amp that is perfectly matched to Blue’s custom planar magnetic drivers to deliver crystal-clear audio on all listening devices. Blue says that in order to ensure the highest quality standards, each Ella is handmade and in small quantities. Sadie features a traditional headphone design with dynamic drivers, and it can be seen as a successor to the company’s acclaimed Mo-Fi headphones. Blue says that Sadie further refines the Mo-Fi’s high-fidelity experience and will transform any laptop or portable device into a mobile hi-fi system. Blue claims that Sadie provides vastly improved performance and superior sound. Custom-matched 50mm dynamic drivers are specifically tuned for full-range sound that Blue Microphones says yields improved clarity, a more defined low end, highly articulate mids and an accurate high-frequency response. Spacious cabinets behind the drivers optimize performance by maximizing the volume of air around the drivers. Sadie will be available soon at Best Buy online, Fry’s online, and other authorized retailers for a retail price of $399. Ella will be available for pre-order at Amazon, Best Buy online, and Fry’s online for $699 sometime in January.